One SMSF technical expert has stressed the importance of maintaining thorough records in relation to CGT relief, with only the total amount of deferred notional gains disclosed in the CGT schedule. SuperConcepts executive manager of SMSF technical services, Mark Ellem, says the CGT schedule will need to be lodged with the SMSF annual return by the due date in order to apply for the CGT relief and defer notional gains, if the member is eligible for the relief. 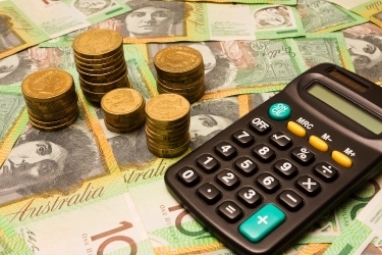 SMSFs wishing to apply the CGT relief will be required to complete question eight, label F of the CGT schedule, by marking the ‘Yes’ box, and if deferring notional gains, inserting the total notional gains at label G, Mr Ellem explained. He noted that the CGT schedule only requires notification that the fund has applied CGT relief, not the individual assets that have had their cost base reset to market value and the date of cost base reset. “Also, only the total amount of deferred notional gains is disclosed on the schedule, not the deferred notional gain for each individual asset,” Mr Ellem said. Consequently, it is important that good records are kept in SMSF admin systems to record the application of CGT relief and whether there is any deferred notional gain attached to an asset, or even tax parcels of assets, “that will be required to bring to account as assessable when that asset, or tax parcel is disposed of or sold”, he said. SMSF administration systems will also be required to track notional gains where there are consolidations or share splits, again making record keeping in admin systems important. Mr Ellem said there will now also be extra steps for SMSF practitioners when they take over the admin for an existing SMSF in the future. They will need to consider whether the SMSF applied for CGT relief in 2016-17, whether there are any deferred notional gains that will need to be included when an asset is sold, and whether the provision for accrued capital gains tax has been calculated, he said. “SMSF accountants and administrators may need to obtain assurances from trustees as to the accuracy of CGT records for a fund at the time of taking over from the previous accountant or administrator,” he warned.